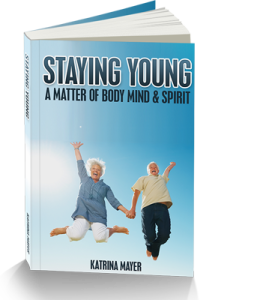 Get occasional wellness, happiness and longevity tips and a FREE eBook, "Staying Young: A Matter of Body, Mind, and Spirit." Our level of creativity is a measure of our joy. Creativity and satisfaction go hand in hand. Tapping that creative urge allows your life to flower brightly! That’s why my husband Peter and I warmly invite you to participate in one of our weekend writing retreats. And, don’t think you must be a writer to join us. This isn’t about spelling and grammar, but about awakening the treasure within yourself. This is for anyone interested in tapping into a personal dimension of inner exploration. While Peter and I are both artists and published writers, we have also learned much about ourselves through journaling and spending time in nature. We’d love to share our secrets with you and help you explore the hidden aspects of yourself through writing. And, of course, if you dream of becoming a published writer, this is certainly the place for you to be, too! We’ll gladly share our publishing success tips with all. Due to the intimacy of our programs and the setting, attendance is very limited. So, if I’ve kindled a creative fire within you, don’t let the flame go out. Please sign up below for my newsletters so you’ll be among the first to know when we are planning our next retreat. Get occasional wellness, happiness and longevity tips and a FREE eBook, "Staying Yound: A Matter of Body, Mind, and Spirit"